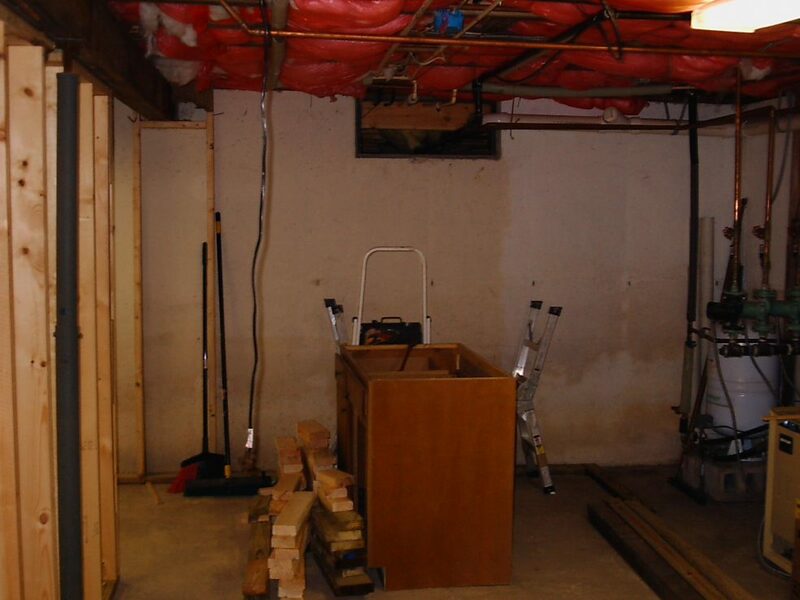 This customer had a typical northeast basement which was unfinished with exposed utilities. 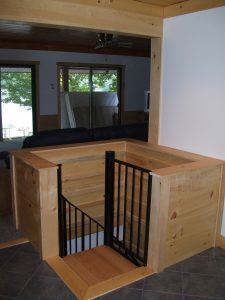 The customer had a growing family and wanted another bedroom, bathroom, and a living room. The problem was how to make it look nice without disrupting the mechanicals to the rest of the house. 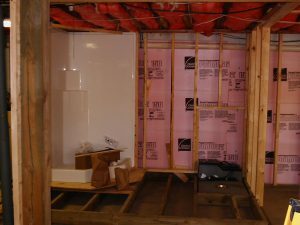 We were able to position the utility room in such a way as to hide most of the bigger pipes in one mechanical room. 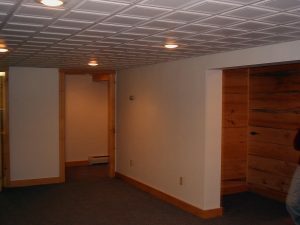 An attractive drop ceiling in other areas allowed access to the mechanicals above while making the ceiling look finished. Some other trick we’ve used are hiding necessary soffits in tray and parquet ceilings. This customer chose carpet to add to the warmth and comfort of the basement. We only recommend this if your basement has zero moisture. 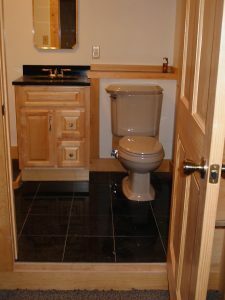 A good option for a below grade floor it tile while not as cozy as carpet it is not prone to moisture related issues; and with today’s tile choices there are many attractive options.